Last year I attended the Opening Ceremonies for the Mecklenburg Special Olympics for the first time. It was a great experience - with each school marching into the Bojangles Coliseum, waving flags and dancing to the music. The one problem was that Logan, Sean and I were 3 of perhaps 15 people in the audience of the huge coliseum. We cheered as loud as we could, but how wonderful would it be to have many more people cheering these athletes on? 2700 East Independence Blvd, Charlotte, NC. How can we get more people there? If you are following my story about Social Security Administration and Supplemental Security Income for Ben and waiting with bated breath for the end of the saga...you will have to wait a bit longer. In my telephone conversation yesterday, the claims representative did tell me that based on the information we provided, we still have the whopping over payment. Our next step is to file a Waiver of Overpayment. I actually had the forms ready because I was pretty sure we were headed in that direction. Tomorrow I will drop it by the SSA office. Thank you again for all the good thoughts and concern sent our way. We appreciate the support. This is just a small bump in the road, one we will learn from and move on. When Ben applies at 18 for SSI (the rules change and parents resources are not counted), we will be better prepared. And one day, in the very far and distant future, we will laugh about our dealings with SSA. A few weeks after casting Ben's AFOs, we visited Steve again for a fitting. The AFOs are completed, but still need adjustments. A small boot was fitted over Ben's special long socks. The top of the boot was softer than the ones he had in the past. It was rubbery. The rest of it was a hard plastic. A very soft tongue was glued inside of the boot to make sure that nothing hard rubbed against Ben's foot. This was new for us. Typically, we had the tongue, but it was detached and we were forever losing them and yelling for someone to find a pringle for Ben's brace - that's what we call the tongues, "pringles". The extra length on the orthotic is trimmed off by Steve on site. After the boot, a hard plastic orthotic was put on. This held the straps that keep the AFO in place. This time, Steve decreased the straps from three to two. The change in strap number and glued in tongue made putting on AFOs faster and easier. As you can see in the photos, taking them off was easier too. Being completely consumed by the latest issues (bathroom and SSI) can be exhausting. I try not to let it wear me down too much. Life must go on and enjoying what we have in front of us and living in the moment is better for my health and soul. Ben has been doing so well in many ways these past few months. Above all, he is happy. We see it everyday in the way he interacts with the people around him, how he gives love through his hugs, smiles, kicking legs and squeals. If Grandma comes with me to get Ben from school, with the way Ben reacts, you would think Bob the Builder just showed up at his school. These laughs were during a tense game of Monopoly. I guess Ben knew we were all going to lose to Logan, again. Ben's happiness is contagious. If he has the giggles, I let that consume me. 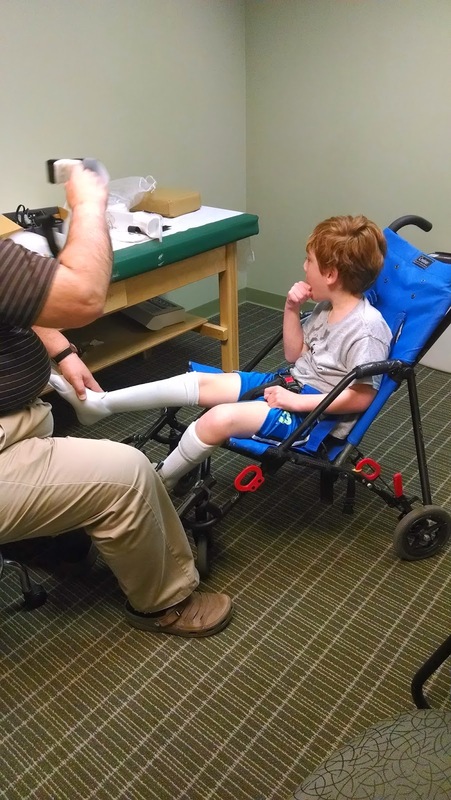 Ankle Foot Orthotics are custom made to fit the patient's foot and leg. 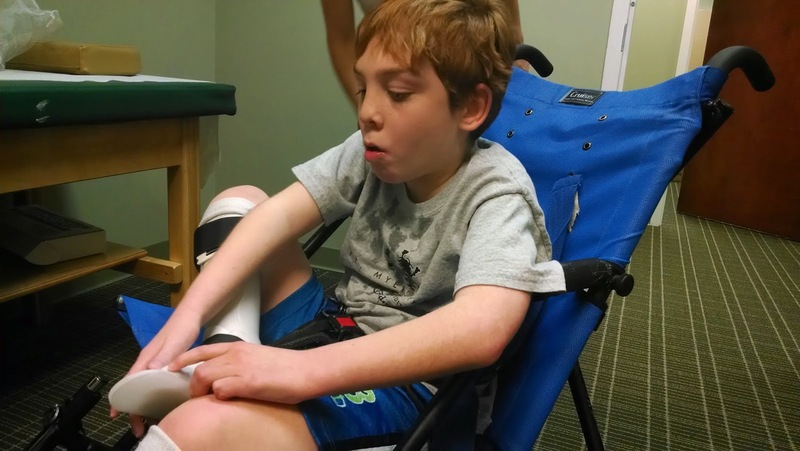 It is painless - just a bit of sitting tight and waiting for the the orthotist to work his magic. 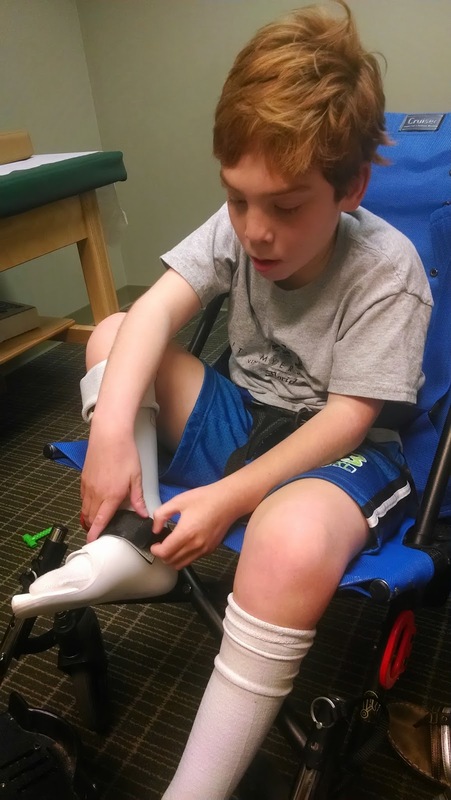 Ben's orthotist, Steve, has been fitting Ben for at least six years. When he moved companies, we moved with him. Steve is a great guy - patient, quick and personable. Ben likes him a lot. so he fights us by trying to pull his pants back down. Next, Steve wraps Ben's leg with a tape material, that is wet and will harden quickly over the sock. The yellow plastic guide comes in handy later when the cast is cut off. 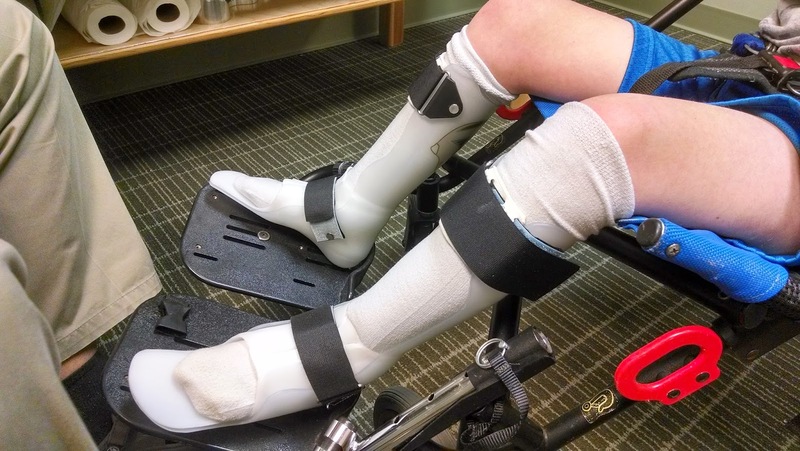 The entire leg and foot get wrapped tightly to later be used as a form for the orthotic. The plaster needs a few minutes to set, but then, Steve can start cutting. Steve uses a scissor type tool to cut the cast along the yellow plastic guide. Finally, the cast is cut and the yellow guide is pulled out. 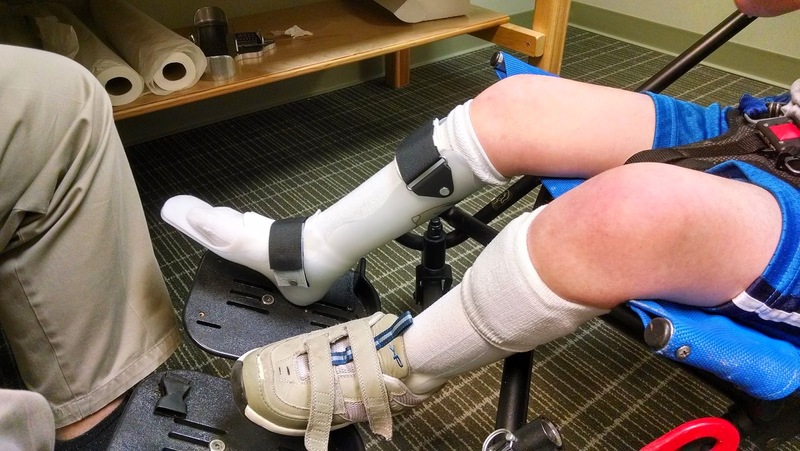 Cast is pulled off the foot and then sent to a laboratory to be used as a form for a real plastic ankle foot orthotic. This post will show the results. A four-year old boy, named Ben and also with red hair, is facing a serious illness, brain cancer. 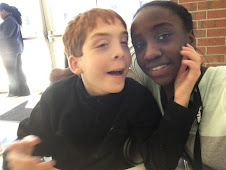 His mother tells his story in her blog, Pray for Ben Sauer. They are looking for a miracle through prayers and support. The story is intense and inspiring - the mom shares openly the raw emotions she feels as their situation unfolds.